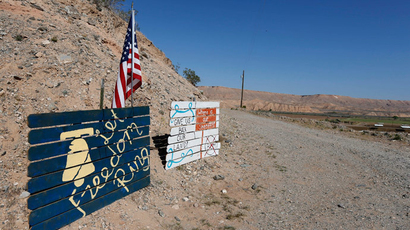 A federal jury in Las Vegas has begun deliberating on the 2014 standoff involving six men who took up arms against federal agents at the Nevada ranch of Cliven Bundy. The defendants were among hundreds who traveled to Bundy’s ranch to defend him against the Bureau of Land Management (BLM), which came to his ranch to seize nearly 1,000 head of cattle after he refused to pay around $1 million in grazing fees. The jury began deliberating Thursday and is expected to reach a verdict on 10 charges for Gregory Burleson, O. Scott Drexler, Todd Engel, Ricky Lovelien, Eric Parker and Steven Stewart. They are the first six of 17 men to stand trial in the first of three cases related to the incident. Their charges include conspiracy against the government, extortion, obstruction, using a firearm during a crime of violence and assaulting a federal agent. 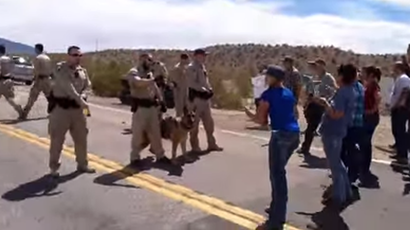 The charges are the result of a standoff on April 12, 2014, where around 50 law-enforcement officers were allegedly met by more than 200 Bundy supporters, many armed with rifles and wearing body armor. According to the charges, Bundy supporters formed a line with gunmen taking sniper positions on a bridge. 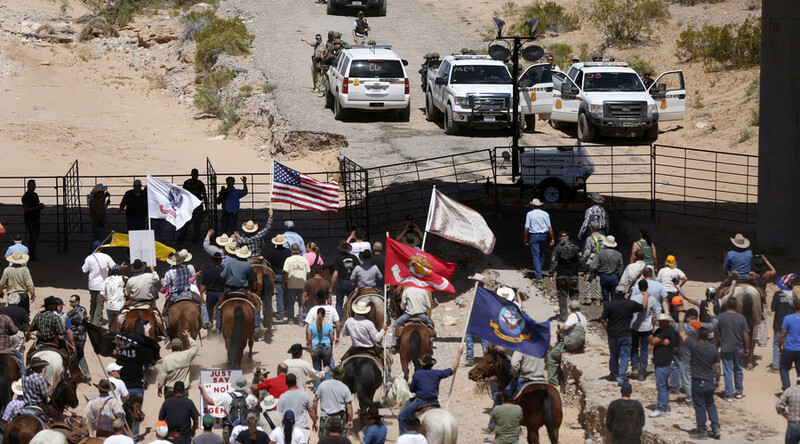 Along with unarmed women and children, the Bundy supporters refused to leave until the cattle were returned. Officers said that at one point there were "too many guns to count” and became concerned they could easily “spark a firefight that would kill or injure unarmed people.” After a tense standoff, during which Bundy supporters were “aiming their assault rifles directly at the officers below,” the special agent in charge was forced to give in to Bundy’s demands, return the cattle and leave the area, officers said. During the eight-week trial, federal prosecutors called more than 30 witnesses, including county, state and federal law-enforcement officers, who testified they feared for their lives while facing Bundy's supporters. During closing arguments on Wednesday, Assistant US Attorney Nicholas Dickinson argued that the defendants were not a part of a legitimate protest, but a conspiracy and a crime. "You can't just go vigilante and resist law enforcement officers," Dickinson said, according to the Las Vegas Sun. "You especially cannot do it with guns." "These six ... use, carry, brandish and even point their weapons at federal law enforcement officers," Dickinson said. Defense attorneys argued that the men were exercising their constitutional rights to protest under the First Amendment and bear arms under the Second Amendment. They asked for the conspiracy and assault charges to be dropped since no one was hurt. "This is a case of standing up for what you believe in," said Richard Tanasi, the attorney representing Stewart, according to the Las Vegas Sun. "A protest is not a conspiracy." Jess Marchese, the attorney representing Eric Parker, told the jury that his defendant traveled to help people he never met, because he was upset about reports that the Bundy family members had been arrested and injured during previous confrontations with police. "Some people protest with signs. Other people protest with guns," Marchese said, according to the Associated Press. "At the end of the day, no one was hurt, and that's the important thing." Shawn Perez, the attorney representing Richard Lovelien, claimed that his defendant was innocent since no one was hurt. "The jury knows right now that Lovelien didn't point a gun at anybody," Perez said, according to Arizona Central. "I'm fairly confident without arguments that they can't find him guilty of threatening or assault." With no court scheduled Friday, the verdicts are not expected until next week. A second federal trial could start June 5, where Bundy and his two sons, Ammon and Ryan, are accused as the leaders of the conspiracy. A third trial for the remaining six defendants is scheduled for the fall.